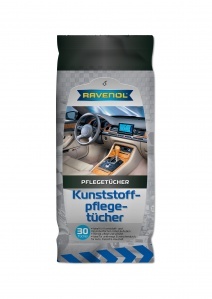 RAVENOL Cockpit Wipes are wet wipes designed for quick, mess-free cleaning and polishing of plastic car interiors. Their anti-static effect means that the cockpit remains dust free for longer. The wipes clean surfaces without leaving a residue leaving a great, shining finish. Perfect for use when out and about as thanks to their compact packaging, they fit into every glove box, meaning that they are always on hand when you need them. 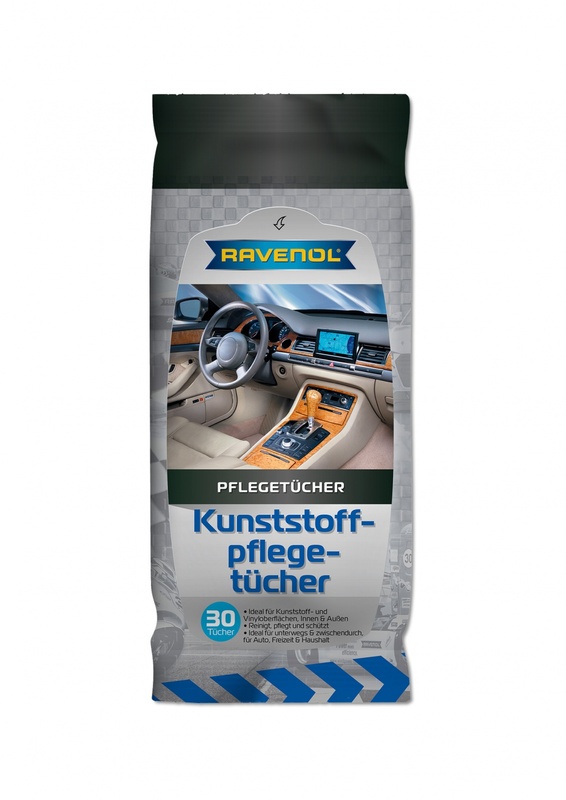 Open the packaging seal, take out a RAVENOL wet wipe and then reseal the packaging. Use the wipe as directed in the instructions. Always reseal the packaging fully after use in order to prevent the wipes from drying out.